This is a campaign we wish we weren’t having to fight. Food poverty is one of the greatest scandals of 21st century Britain. In the sixth richest country in the world, benefit cuts, a broken housing market, and rising in-work poverty means 8 million people have trouble putting food on the table ─ Tory austerity is ultimately to blame. We know pushing national government to take action and end austerity is going to be a challenging fight, but Labour & Co-operative local authorities can play a big part in tackling food poverty in their local areas right now. Councils like Hackney can play an active role in tackling the crisis in affordability ─ residents struggling to put food on the table and relying on food banks in their area. However, food poverty also includes the poverty of nourishment and access to healthy food. Around 10% of the NHS budget is spent on treating type 2 diabetes ─ local authorities can use their public health role to tackle this. Hackney’s diverse communities already play an active role in fighting food poverty, and the range of food available at one of Hackney’s six local markets shows how important food is to the cultural identity of the borough. Our markets have grown by 14% just in the last year and now host 65,000 traders per year. We have local food partnership organisations, community growing groups, an incredible Hackney Food Bank (though we wish it wasn’t needed) and more than 60 estate community gardens. Vulnerable families are also supported to use Healthy Start and Alexandra Rose vouchers to purchase fresh fruit and veg from participating market stalls and shops. Hackney Council also remains the largest funder of lunch clubs in London, recognising the important role they play in not only providing nutritious lunches, but also reducing social isolation for our elderly residents. We want to ensure this fantastic community infrastructure can reach our most vulnerable residents, and expand these opportunities further. For instance, we are one of the first councils in the country to commit to funding free school meals for families that have no recourse to public funds. We are dedicating resources alongside local food partnership organisations to establish a local food poverty plan, recognising that our work on healthy eating and obesity alone isn’t enough. The implementation of this work and further food poverty monitoring will be overseen by a dedicated Cabinet Member with Food Poverty in their portfolio ─ Cllr Chris Kennedy. 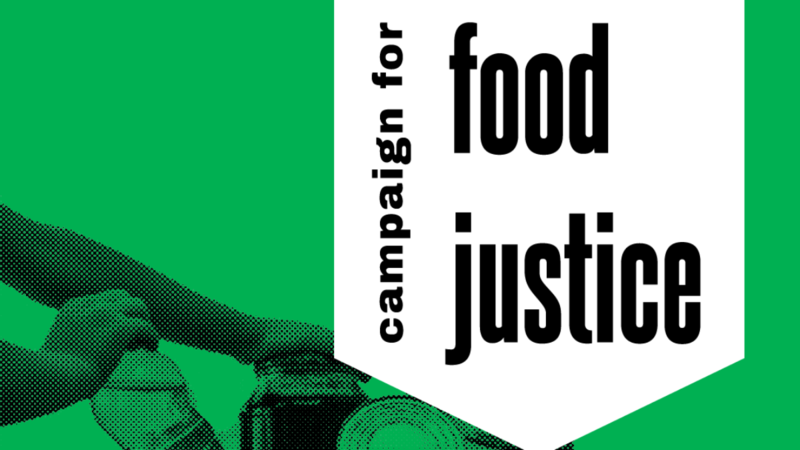 This is a campaign we wish we weren’t having to fight, but we are delighted that the Co-operative Party are calling on other councils to do the same, and look forward to campaigning with them to achieve real and long lasting food justice. Promoted by Claire McCarthy on behalf of the Co-operative Party, both at 65 St John Street, London EC1M 4AN.